In real estate, a single agent or broker for both the buyer and the seller of a Scottsdale luxury home is comparable in many ways to an attorney representing both the plaintiff and defendant in a courtroom. It’s a no-win scenario. The following exposes the legal minefield born from dual agency practice and underscores the vital role of exclusive buyer representation by a Scottsdale luxury buyer agent. 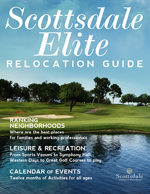 As exciting as it can be to buy and sell Scottsdale luxury real estate, at its core is a business transaction with two distinct sides. The home seller and home buyer have polar opposite objectives. A real estate agent may be the fairest and most experienced in the industry, but it’s still impossible for the same agent to get the seller the most money and save the buyer the most money in the same transaction. Bottom line: Dual agency is a glaring conflict of interest with flashing red lights. That’s because by definition, dual agency is a practice providing services to both buyers and sellers in the same Scottsdale luxury home transaction. Whether it’s single broker representation (two agents under same broker represent buyer and seller) or single agent dual agency representation (when one agent represents both the buyer and seller), it all boils down to one entity receiving both commissions while providing limited service. In dual agency practice (which, when disclosed, is legal in Arizona), relationships are void of traditional fiduciary duties of loyalty and full disclosure of details. Real estate/broker loyalties are split, which makes it a significant challenge to establish a transparent, loyal relationship fully benefiting the Scottsdale luxury real estate buyer. Elevating the standard of explanation and clarity. “The court held that when obtaining consent to dual agency, “the broker must deal fairly and in good faith with each of them, and ‘disclose all material facts that the [broker] knows, has reason to know, or should know would reasonably affect the principal’s judgment’," unless the principal knows the facts or doesn’t want to know them. 2012 WL 5910800.” This appears to require a discussion much more comprehensive than that contained in the AAR form.” The court found several breaches of fiduciary duties by the salesperson, the most serious being the salesperson's failure to disclose that she was a dual agent serving as an agent for both sides of the transaction. Because of her failure to disclose this information to the Buyer, he did not know that there was certain information she could not reveal to him and also that the seller was responsible for compensating her. The court ruled that the salesperson had breached her fiduciary duty to the buyer. The duty of disclosure. An agent must disclose any facts affecting the value or desirability of the property, as well as any other relevant information pertaining to the transaction, such as the other party’s bargaining position or information concerning the ability or willingness of the buyer to offer a higher price. See Liegh v. Lloyd, 74 Ariz. 84, 244 P.2d 356 (1952). But an agent’s duty of disclosure to a client must not be confused with an agent’s duty to disclose any known material facts about the property to customers. Cook vs. Orkin Exterminating Co., Inc. The duty of confidentiality. An agent is obligated to safeguard the client’s lawful confidences and secrets. Therefore, an agent must keep confidential any information that may weaken a client’s bargaining position. For example, the seller’s agent cannot reveal to the buyer or the buyer’s agent any information that could be used to the disadvantage of the seller. On the other hand, the duty of confidentiality also precludes the buyer’s agent from disclosing the buyer’s willingness to pay more than the listing price or the buyer’s motivation for buying. See Cook v. Orkin Exterminating Co., Inc., 227 Ariz. 331, 258 P.3d 149 (App. 2011). This duty is “characterized by great intimacy, disclosure of secrets, [or] intrusting of power” (quoting Standard Chartered PLC v. Price Waterhouse, 190 Ariz. at 24, 945 P.2d at 335 (App. 1996) ). The duty of confidentiality does not include an obligation by a broker who represents a seller to withhold known material facts about the condition of the seller’s property from the buyer or to misrepresent the property’s condition. Aranki v. RKP Investments, Inc., 194 Ariz. 206, 979 P.2d 534 (App. 1999).